Not all parents are the best at parenting. It is true that some parents know more than other when it comes to parenting, but that does not mean that all parents know everything there is to know about parenting. Parenting is an extremely hard task, which is the reason why most parents face a number of different problems while going through the initial stages of parenthood. Well, parents want to know about parenting pointers or parenting tips in order to improve their parenting methods and in order to make sure that they are travelling on the right path in terms of parenting. Many parents, both Muslim and non-Muslim, resort to violence whenever their child does something wrong or makes a mistake. Well, this is a practice which should not at all be performed. Why is that so? Well, the reason why that is so is because doing so will do more harm than it will do well. If parents use violence, their kids will neither get to know what mistake they made and nor will they think about what they have done. When it comes to kids, keeping calm and having a little chat is the way to go. 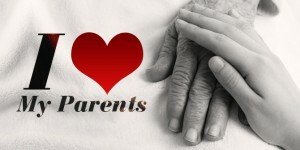 Many Muslim parents give importance to either Islam or this temporary world which we live in. This is completely wrong and should not be done. One of the most important parenting tips which Muslim parents should know is that religion definitely comes first, but a balance between Islam and this temporary world is to be maintained in order to guarantee a decent upbringing of a Muslim child. Most Muslim parents condemn the thought of their kid going to school and only want to provide their kid with Islamic education. Well, another one of the many parenting tips which Muslim parents can use is to provide their child with worldly education because even though worldly education is not as important as Islamic education, it definitely holds a considerable amount of importance. Muslim parents must also make sure that the people around their child are decent people because the people around a child greatly impact him/her. Muslim parents must also make sure that they do not try to take shortcuts on their road of parenthood because when it comes to decent parenting, there are simply no shortcuts. What do you think are the 5 parenting pointers which every Muslim father and mother should know?